Novelist Midori Snyder has written a thoughtful and very early review of Maze of Blood at her site, In the Labyrinth. 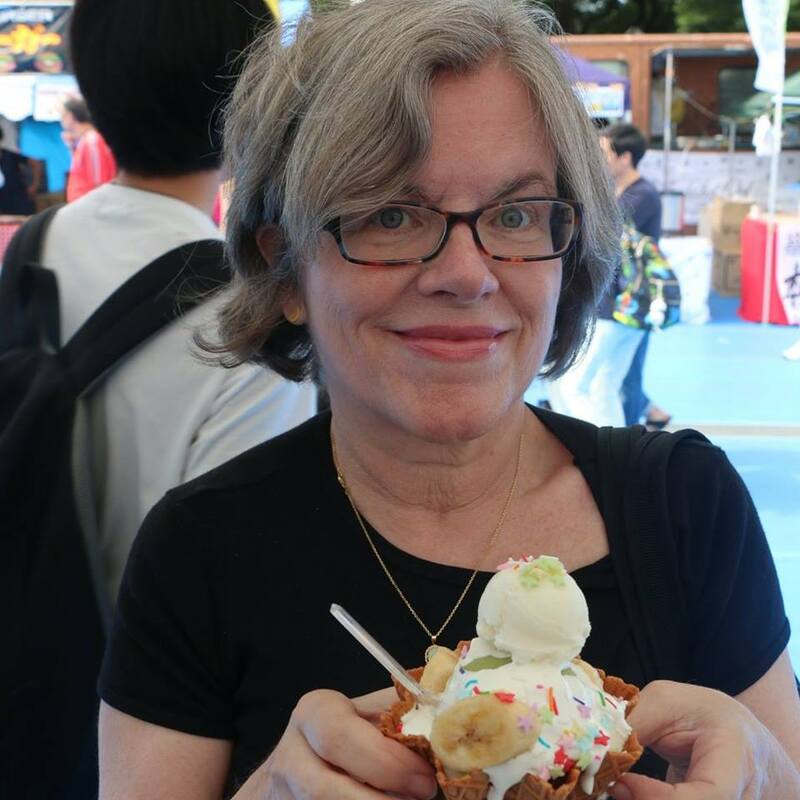 Since I can't possibly thank her enough for writing an entire review when she was asked for a mere blurb, be sure and go and noodle around her website and take a look at her books, too! That would make a great thanks, and her site is an especially interesting one. 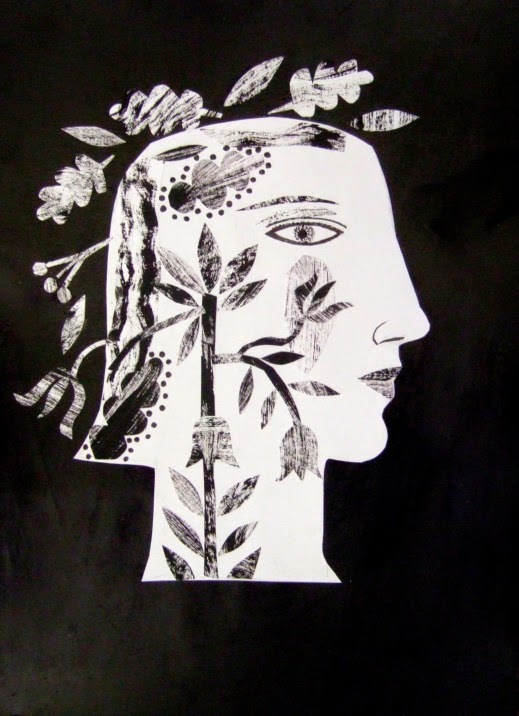 And since the book will not be out until fall, I'll just remind people that my current in-print books are Glimmerglass, A Death at the White Camellia Orphanage, Thaliad, The Foliate Head, and The Throne of Psyche. Click on the tabs above to find out more about them. 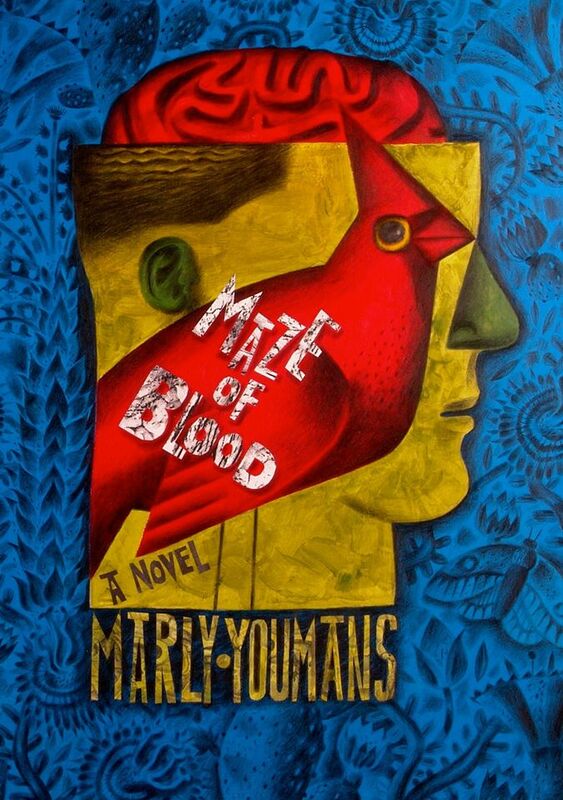 Image: Detail with wing and name, cover for Maze of Blood... from the wonderful hands and brain-maze of Clive Hicks-Jenkins. See the finished image here! First released pictures for Maze of Blood, my upcoming novel from Mercer with art from Clive Hicks-Jenkins and design from Mary-Frances Glover Burt, can be seen here. detail, "The Congregation of Birds"
Ventured out in the blowing snow as far as a bird conservatory with my husband and youngest child. Saw lots of birds--Gouldian finches and blue-neck and paradise tanagers and many more--and odd, stray creatures, lizards and tortoises and a sloth and mud skippers. On the way home, the world was mostly whited-out, all long snow-fields with a few sketchy trees and a blurred line of forest in the distance. But what I keep thinking is that I cannot wait to see Clive's jacket image for Maze of Blood on Monday! John Wilson's article "Books of 2014" is now available on the website of print magazine First Things. 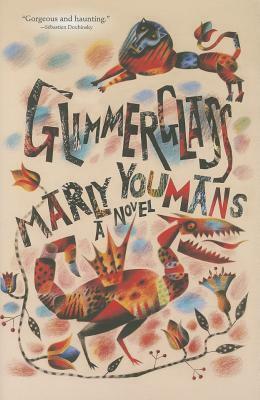 If you are a novel-reading maniac and don't want to hear about beetles and more (me, I like beetles and desert fathers), scroll down to the letter C and you'll find six novels from 2014, including Glimmerglass. 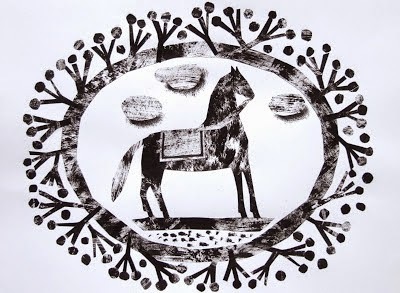 And if you want more Glimmerglass, take a peek at the post just prior, with links to a multi-part interview with me, conducted by Suzanne Brazil and published in various places on the web. It's a painstaking interview, done over time, each question emerging out of prior conversation. If you're near the Catskills and want to sign up for a February workshop (analysis and writing) on scripture and language, related writing exercises, and poetry in beautiful Lake Delaware, take a look at Mons Nubifer Sanctus, Holy Cloud-Bearing Mountain, a center for contemplative life. The interview was conducted over a long period of time, each new question coming after the answer to a prior one. So this is the first time I have seen the whole series as one large interview and had a sense of what was talked about as a whole. I was horribly honest, so there might be some things you find curious or intriguing. 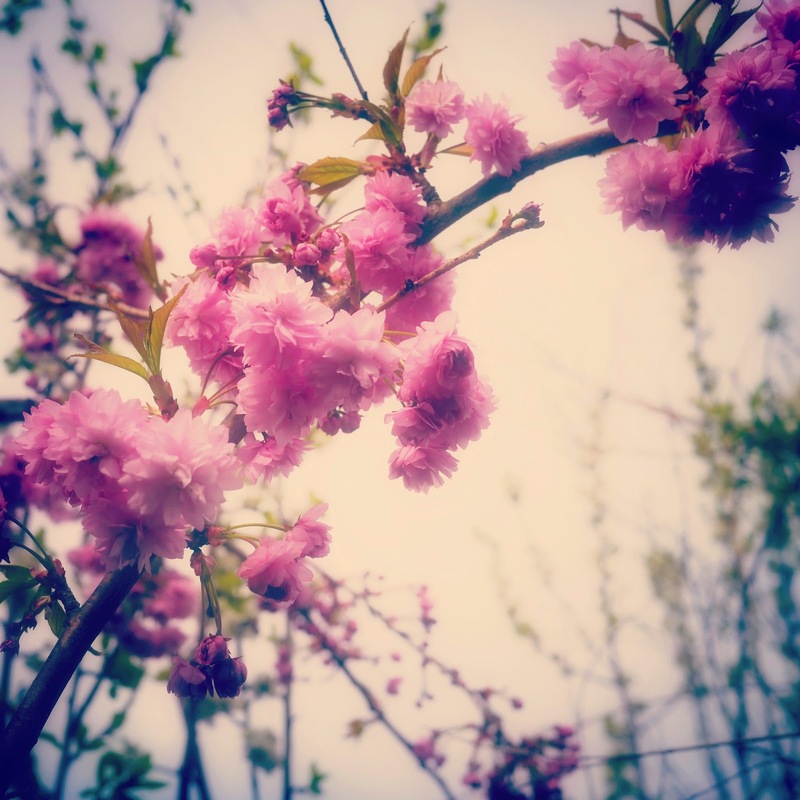 Suzanne Brazil will be re-posting on her website, Suzanne Brazil: Living the Writing Life, and on her Facebook page as well. 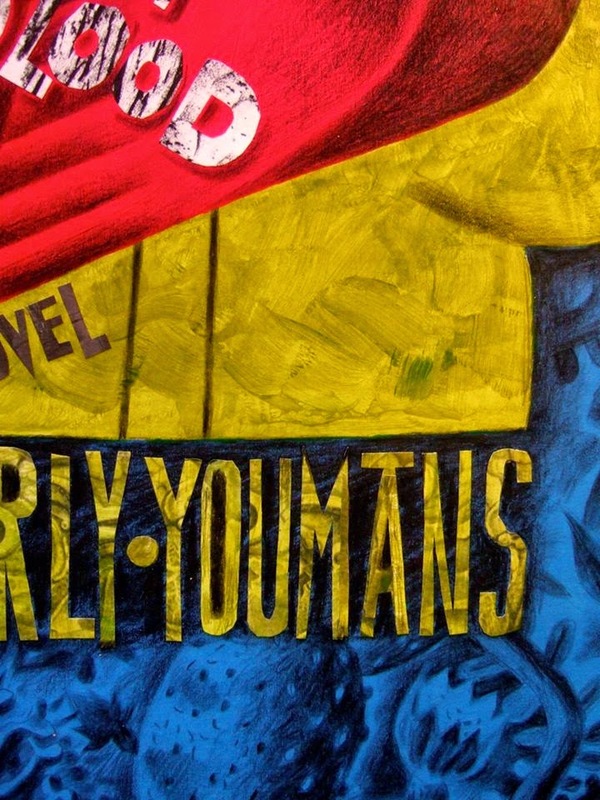 Marly Youmans is a novelist and poet out of sync with the times but in tune with the ages. Glimmerglass is set in the present in a fictional village patterned on Cooperstown. 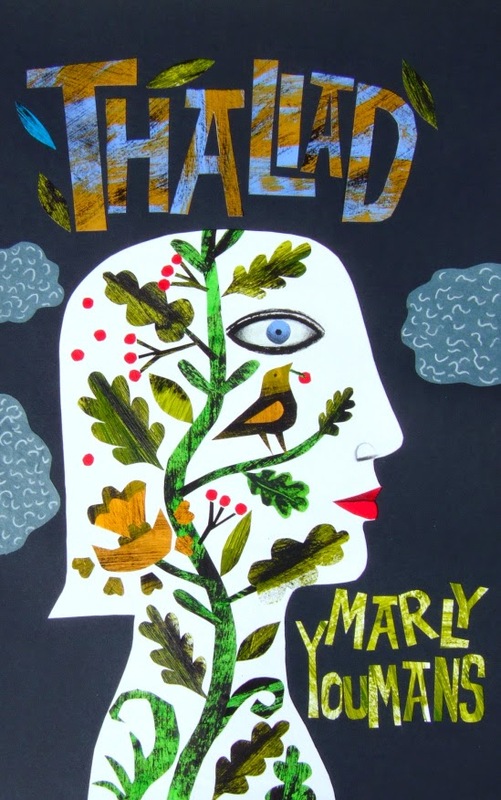 It's a sweetly uncanny mix of the quotidian and the magical, a portrait of the artist (and this is such a refreshing change) as a middle-aged woman recovering her vocation. There's a very odd house, too, with Gothic chambers, and a family secret, and much more. 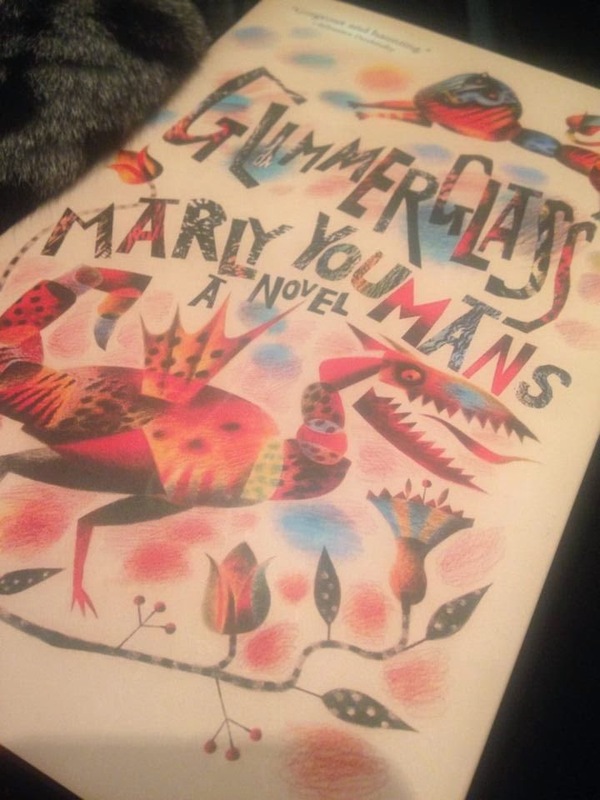 The Glimmerglass giveaway is over. 1,564 people signed up for a chance, and the winner is T. Lee Deprospero of Florida. Confetti! Question of the day: Why am I, a Southerner, not in Florida instead of living in a snow heap with more lovely snow falling steadily out of the rather low sky? Bonus question: Why do I have 20/20 vision in dreams? I am a fan of novelist Scott G. F. Bailey's blog, Six Words for a Hat, and am always interested in what he says about books and writing. Currently he is talking about the need for "a story where a writer keeps working as he goes along, rather than sets up a game board and then simply unspools the plot." 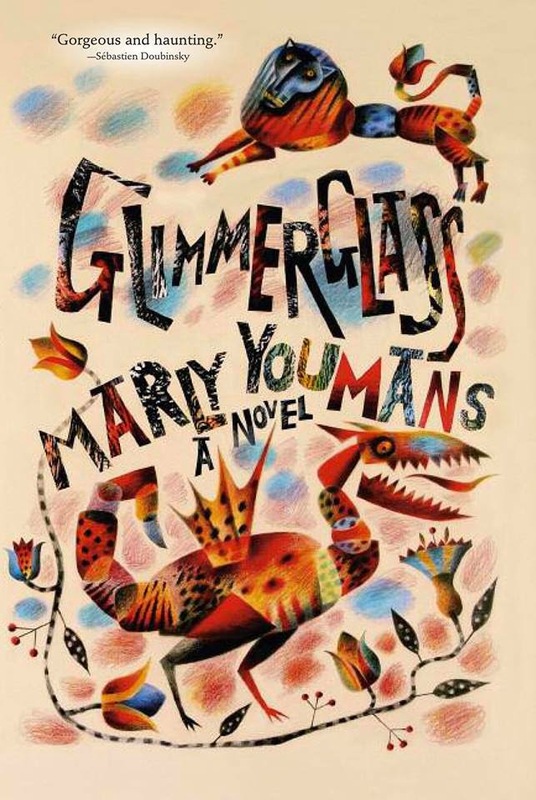 I have been meaning to write more about Marly Youmans' latest novel Glimmerglass, the second half of which features an adventure that is part fever dream, part mystical experience, and part thrilling escape. The protagonist of the tale encounters characters from scripture, myth, from literary history, and from her own subconscious. There is an admirable angel character who may or may not be Satan; it works either way, which is some trick. Some day soon, hopefully, I'll write about it, but for now I want to say that this is a book where the writer continues to push things, to work with her materials and find something new all along the course of the narrative. Yes, that's what I want to say, and that's what I want to find in a story. Earlier he wrote about the first half of the book. Scott Bailey has a novel of his own, now in a reprint from MDA Books (originally published by Rhemalda.) 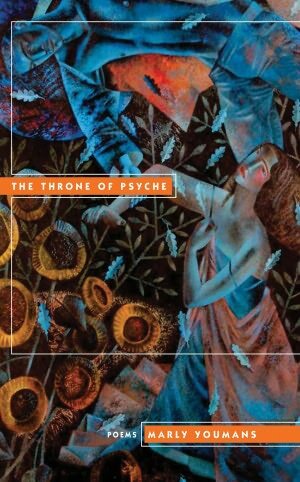 The late critic David Myers wrote a wonderful review of The Astrologer on his A Commonplace Blog. It's still waiting in my big To Be Read stack because someone who writes in such an interesting fashion about books is a writer I must read. (My husband has already stolen the book away and enjoyed it very much, I should add.) Scott Bailey also has some short stories in collections and is a writer and blogger well worth following. In Fahrenheit 451, you predicted shallow stories on flat-screen televisions that made people drift away from books. You predicted people so caught up in their portable media that they forgot to interact with others. And you showed us how easy it is to conform to a mass media. You did not live to see book treasures 5000 years old, along with modern-era poetry, novels, scientific works, health treatises, unapproved religious works, and more make a huge bonfire of the vanities, lit by those who taught their world that culture, civilization, and science were evils. 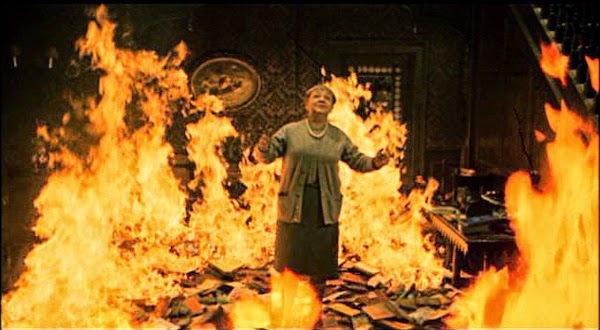 Such men would burn your books and mine, and obliterate even Shakespeare. You did not live to hear that hiding books and precious manuscripts meant death. And when you were alive and dreamed all culture burned, you dreamed the fire happened in America, but about the place you were wrong. Here's a not-much-more than newborn poem from me, embodied in an even newer video by the wonderful Paul Digby. It's a blank verse poem, tying off with a rhyme, and looks to be the first of a group--at least, I have already written a related poem and have some scattered flecks of thought about a few more. Paul reads the poem, and he made the video. He is one of the most creative people I know--a composer, a videographer, a carpenter, a painter in oils, a knitter and designer, a custom frame maker, and endlessly on. Lately he has been singing a great deal. He's a special person, and I appreciate the many kind things he has done for my poems. You can see six more of his videos of my poems here. P. S. I agree with Marja-Leena, the other one didn't deserve to be on the same page! So I took it down... Shall post it on Facebook for the curious. In which I have fan fiction! And answer more questions.. Since the post on Fr. Augustine's class of Thaliad readers has had so many hits, I'd better answer their "two more questions" right here. I am looking forward to reading some of the alternate sequels (Gabriel! fan fictions! can't wait!) written by the students and to watching the youtube videos of some of the class discussion. I'm touched that Gabriel gets to have his own adventure in the sequels. I expect he's pleased as well. And I must say that I never expected readers to continue their own stories based on a blank verse narrative. That's downright amazing--Fr. Dude must have quite a class. Guess I'll know after I watch those youtube videos. So a big hello and thanks to Fr. Augustine's students of St. Louis Priory School at the St. Louis Abbey. I'm so pleased that you read Thaliad. 1. In Book III of the Percy Jackson trilogy, Thalia battles a Manticore named Doctor Thorn. Mere coincidence? Coincidence, although my younger son did read the Percy Jackson books when they came out. So it was probably in the house somewhere... Osmosis? I'll tell you where Thalia came from (and I pronounce it THA-lee-ah, rather than the traditional Greek way.) One day when I was living in Greenville, South Carolina, I found a dining room table in the alley. It was a somewhat battered and broken two-pedestal number. I had a dining room but not a table. After some ferreting about, I found the owner and permission to tote the thing into my house. It stayed with me for many years, one of the pedestals repeatedly breaking (notably at my daughter's 11th birthday party, when there was cake and presents on the table, as well as a lot of girls leaning on one end.) I finally got a new one last year because there were now too many clamps under the tablecloth. The two-pedestal table belonged to the Great-aunt Thalia (THA-lee-ah) of my neighbor in Greenville, so I always referred to it as Great-aunt Thalia's table. As for Thorne, I just like the sound of it, though you could ponder the presence of metaphorical thorns in the way, I suppose. 2. Also…was your name spelled without the ‘A' on the book spine because it looks cool? I am afraid that came as a surprise! It's amazing how a book can be proofed and proofed and proofed, and some obvious thing like that can be overlooked. You'll just have to consider that edition as extra-valuable, like a rare postage stamp with the picture printed upside down. 3. Why Castor and Pollux to represent Samuel and Ran, and not Romulus and Remus? Good question. Romulus and Remus would probably be better! After all, they are city-foundation figures. 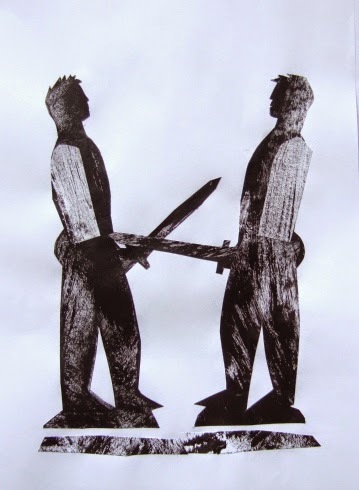 Since they quarrel and one kills the other, those quarreling twins would be evocative parallels for Ran and Samuel. If you all had been around when I was writing, it might have gone otherwise! 4. Will there be a sequel? I doubt it. It arrived in my head one day, and the story unreeled until the end. But perhaps I'll wake up one morning with a related tale lodged in my brain. You're right. That wasn't two! Paul Digby has just recorded audio for a brand new poem of mine called "The Flower Girl," which he plans to make into a video, some day. So I am thinking about how much I appreciate all his audio and video work, as well as the way his love for making things pours out into music composition, singing, pictures, gardens, house and frames carpentry, knitting, and much more. And he reads beautifully. Follow Marly's board The Marly Videos (by composer-videographer Paul Digby) on Pinterest. 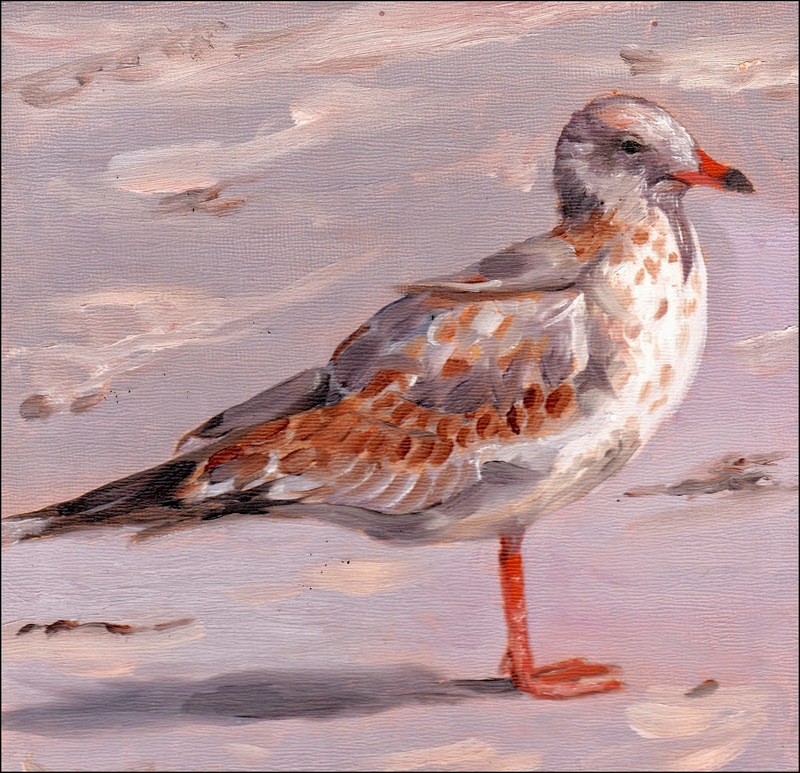 And look at the prior post for news about Lynn Digby's small paintings blog... It's interesting that even in odd corners of this huge country, people are striving after beauty and wishing to make a life in the kingdom of the arts. Every one helps make the book a tiny bit more visible in this big, colorful world, so please lodge a request! Giveaway ends February 11, 2015. 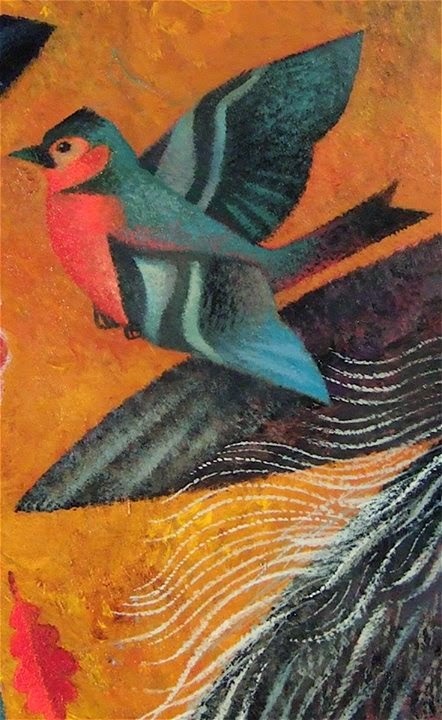 My friend Lynn Digby has new blog devoted solely to small paintings. 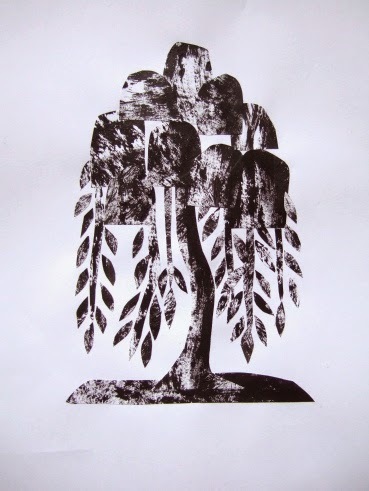 If you crave original art but have a limited budget, this is a way to afford an original Digby. Most of her pieces are on a much larger scale. Above you can see an image now hanging on the wall of my writing room, and in good company on a narrow bit of wall with a piece by Clive Hicks-Jenkins and a framed catalogue of work by Steve Cieslawki. 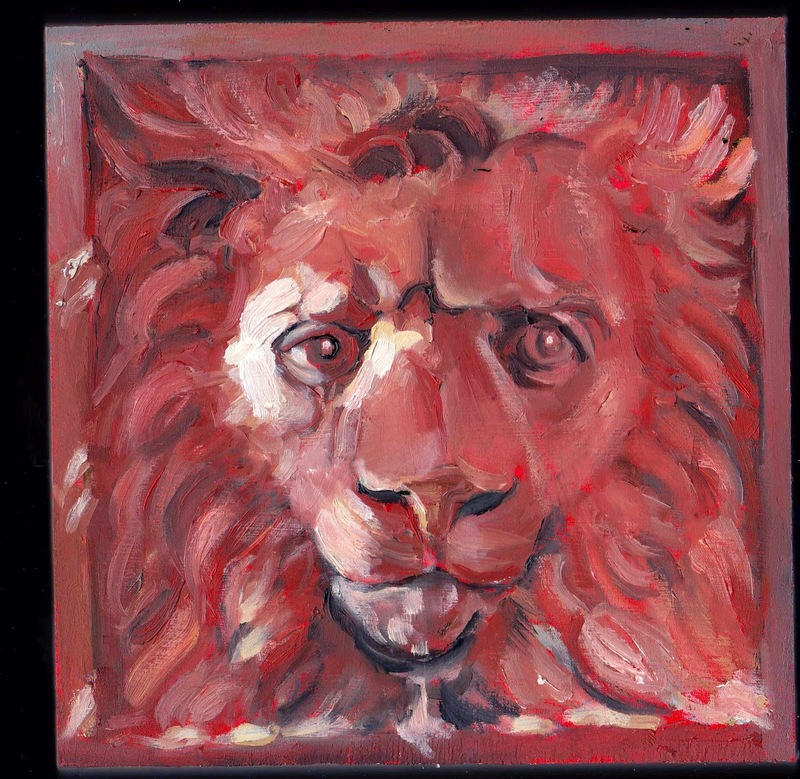 The lion is in the likeness of a red sandstone lion on the Flagler College gates in St. Augustine, a place Lynn and Paul have often visited. Isn't he soulful-eyed? A regular Aslan. But it's deceptive how working in mostly value pattern can turn into a dance between hitting the temperatures as well as the range of value. What I thought would be a straightforward process quickly got complicated. It didn't help that I chose cad red for my under painting. I like red under paintings, but in this case, there was so much red in the colors of the stone face, that things got confusing - and wet. Really wet. Reluctantly, I had to step back with the piece incomplete because I needed it to dry before popping in the lights. This is how I usually work my larger pieces., but the whole idea with these smaller ones was to get in; get out; and get it done. And here's a small landscape. Lynn says, "The reference was taken a while back after a freezing rain storm. It's actually looking down the alleyway next to our house. 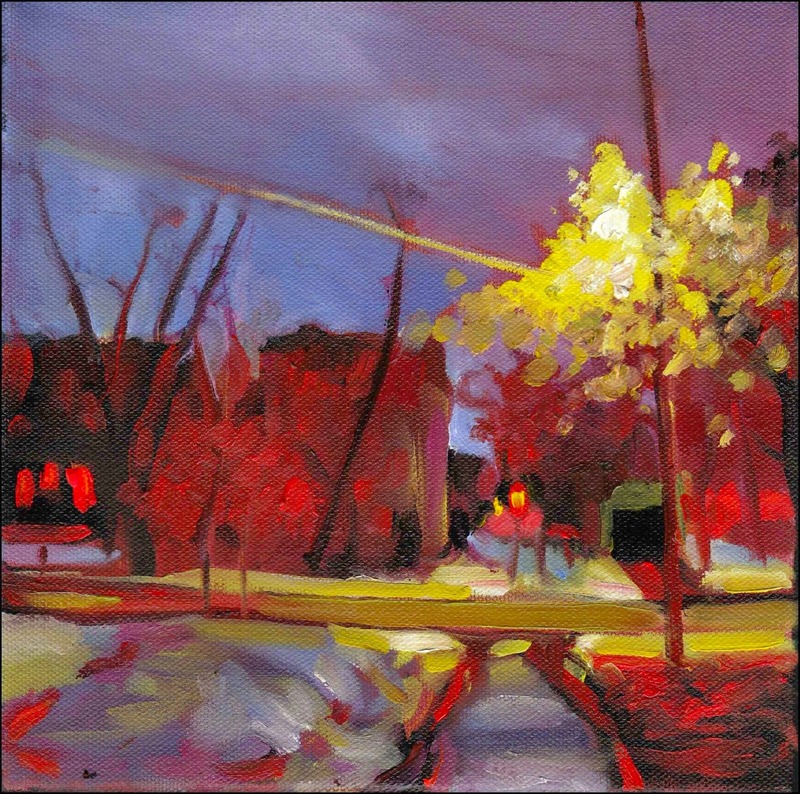 Everything was a glare of ice that night with surreal colors reflecting of iced surfaces." When I visited her house, everything was green and lush, but I like this vivid peep at an Ohio winter. So go! 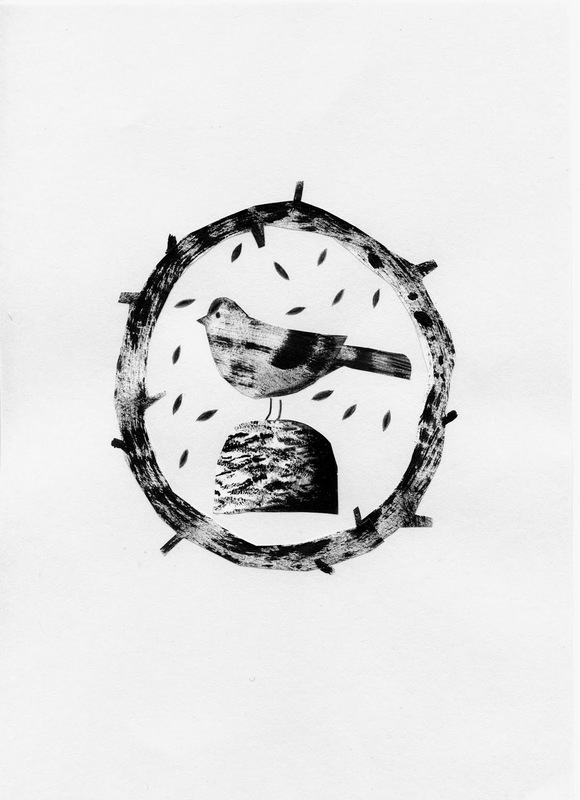 Take a peek, and maybe even drop her a line that you'd like to have a tiny, precious (but affordable) work of art. My precious! Whee! 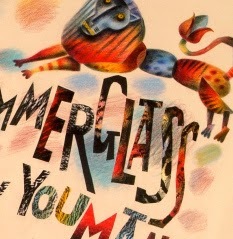 The signed Glimmerglass giveaway has begun! See post below. One thing that I find interesting about this batch of reviews is that they suggest that the book is a "new genre," "something new," and a mixture of many things.